Situated on 58 acres of beautifully manicured grounds bordered by lakes and a Preserve, the park-like neighborhood streets in this superbly-planned development. are lined with tropical landscaping, swaying palm trees, and fragrant orange groves. Very popular is a choice from what is available of the 272 attached two-level town homes with spacious interiors, private patios, and secure parking among many other special features. 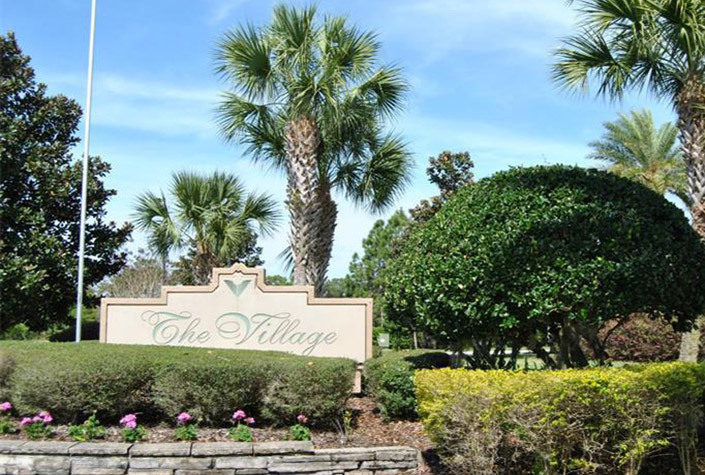 Also included in the Village are single family homes, condominiums, villas, and apartments. Located near Sarasota on the fabulous Gulf Coast of Florida and only 50 miles from the Tampa Bay Area, the Village at Townpark is one of the most sought after communities in the desirable conveniently-located award-winning Lakewood Ranch. Residents are able to enjoy attractive HOA fees, a neighborhood state-of-the-art clubhouse, a pool with a massive sun deck, a fitness center, a Jacuzzi, volleyball and tennis courts, three lakes, a playground for the children, and picnic areas with BBQ pits for family outings, and numerous ongoing fun activities including free monthly Music on Main concerts. Lakewood Ranch also has its own cinema, a vibrant shopping area, delightful restaurants, a full medical center, a supermarket, 150 miles of trails for hiking and biking, two public parks including recreational shooting ranges in the Ancient Oak Gun Club, and access to the Lakewood Ranch Golf and Country Club that doubles as a wildlife sanctuary and protected habitat. Those who desire an idyllic lifestyle that feels like every day is spent in a resort can feel that way right at home in the Village and also are close to beaches with their crystal blue water and white sand.